The people watching is spectacular. 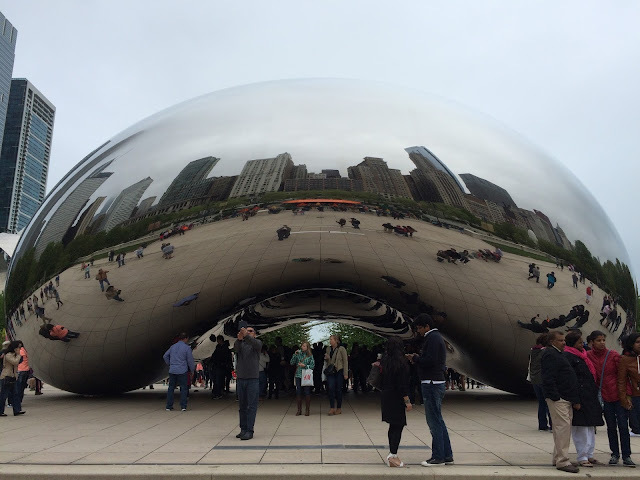 First timers and residents alike can spend an afternoon watching tourist explore the fun-house mystique of Chicago's Cloud Gate, also known as The Bean for its elliptical shape. Located in Millennium Park, Cloud Gate, by Anish Kapoor, is the British artist's first outdoor public art piece in the United States. It's a looker. 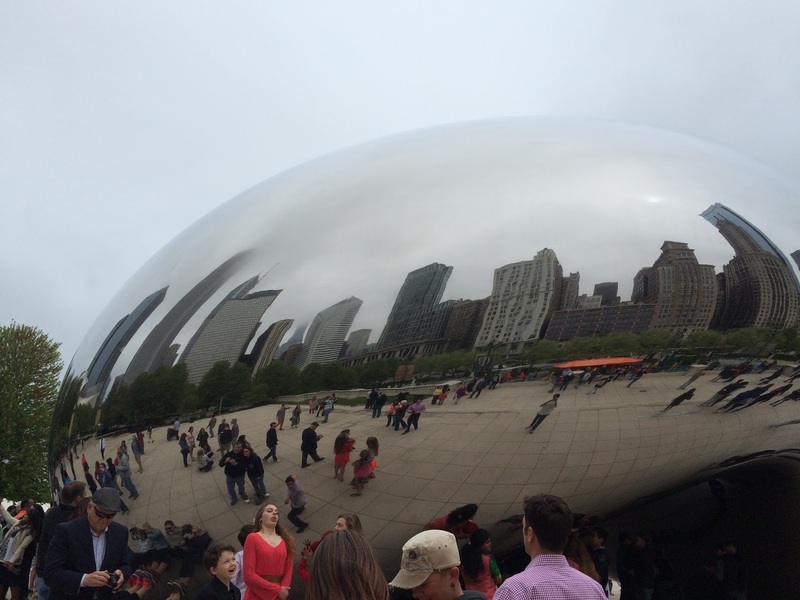 Meant to resemble liquid mercury, the piece is made of highly polished stainless steel plates (with no visible seams) that reflect the Chicago skyline and the clouds above. 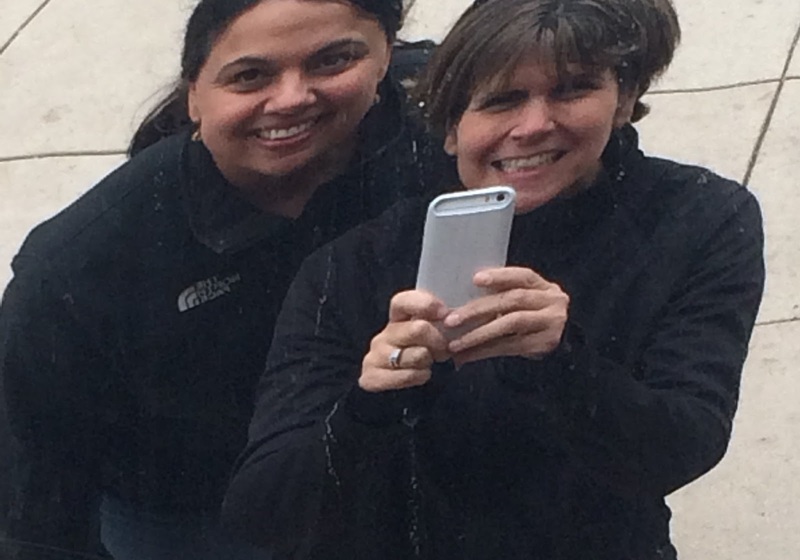 Selfies underneath The Bean with my friend and tour guide, Mona. Measuring 66 feet long and 33 feet high, and weighing in at 110 tons, the elliptical sculpture is among the largest of its kind in the world. There is a 12 foot high arch, the "gate" that draws visitors inside a mirrored concave chamber which produces a funhouse effect of reflection and distortion. Be sure to look up. One of the perks of travel is discovering the fun touristy attractions that provide great photo opps and lots of smiles and giggles. These spots may be cliched and teeming with tourists, but who cares? On longer trips, there is time for travel off the beaten path. When you visit a place for a short time, such as my weekend in Chicago, you hit the biggies. 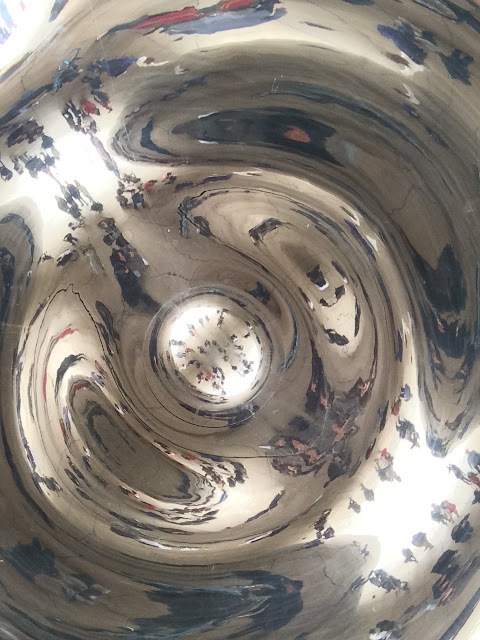 And Cloud Gate is a Chicago must-see. When you travel, do you stay off the tourist route or do you hit the major attractions first? I am thrilled to be part of a new travel series with Angie from Reasons to Dress. We invite you to share your reasons for travel, both domestic and abroad. Share your favorite spots, your favorite tips, and your reasons to travel. A place for everyone to share their travels. You don't have to be a travel blogger to want to share your favorite local spots or tips on international travel. #REASONS2TRAVEL is a new linkup, open for the whole month where you can share, discover and explore travel! 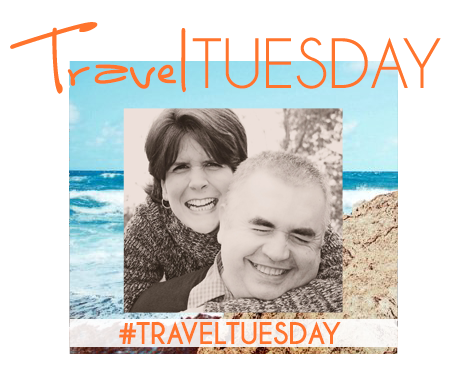 Linkup any travel related post OR picture from INSTAGRAM and join our community of TRAVEL and LIFESTYLE BLOGGERS. and you'll get a retweet from your co-hosts! Follow each co-host on at least 1 social network , we're friendly, social and generally over-sharers! Tweet your link with the hashtag #REASONS2TRAVEL for a retweet! Please be social and visit a post that interests you. Don't forget to use the #REASONS2TRAVEL hashtag to let people know how you found them! 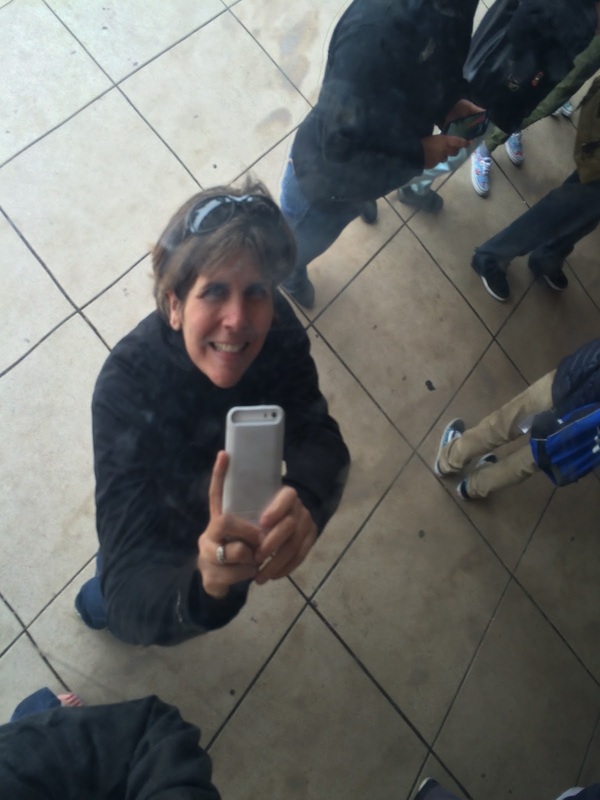 This month's featured blogger is Kate from DIARY OF AN URBAN HOUSEWIFE. A semi-nomadic family who has lived all over the US and Canada and is currently in Amsterdam. Last month Kate linked up a beautiful post about her visit to the Keukenhof Tulip Gardens in Lisse, Netherlands. Check out her post and visit her on Facebook, Instagram and Twitter to see real live from a fit family in the Netherlands. 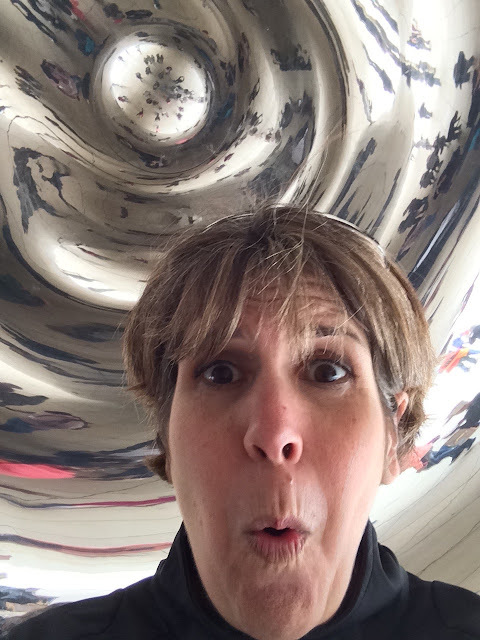 Hi Kelly, the Bean in Chicago looks fascinating. I like your new #Reasons2Travel and the group blogs that you are collaborating with look terrific. When someone links back to someone, how do you do that? Hi Peggy! We had a great time. You can use a hyperlink when you mention how you found the link up. For example, if I linked back to you, I have an option to insert a link so that when you click on that specific text, it opens the linked page. You can also add the button as a photo in your post. Have a great weekend! Stop by and check out my latest post about my trip to New Mexico. The distortion is too fun. Chicago has so many things to see and do. Chicago is such a fun city! I've only gone there a couple of times, but I'd love to get back and see more - especially the Bean! That place looks too cool. Other reason I need to visit Chicago. I had such a great time. It's a fun city. I look forward to going back one day. It really is a great city! I can't wait to go back. Thanks, Jessica. I had a great time and I look forward to going back. What fun! I love the selfies you all took. I would love to visit that place for sure. I wish I had a post to share, but we haven't had a chance to go anywhere exciting as of late, but we are planning a trip soon! Thanks, Carolann. I had a great weekend. My friend, Mona, is the best tour guide and she and her husband were the most wonderful hosts. I am very lucky. You don't have to go far...you could be a tourist in your own town. :-) Where are you planning your next trip? We are actually planning one right now. I'm sure I will blog about it soon lol. Have a great weekend!